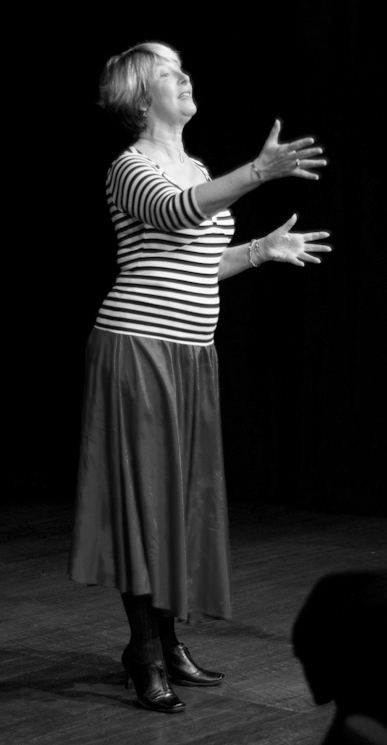 Solo Speak is a Story Telling Performance Group in Portland Oregon started by Sharon "shay" Knorr. Shay has been a professional actress since age 10 and a producer, director, singer, playwright, improvisational performer and artist for over 25 years. The last few years brought her to the solo performing of personal stories after she wrote, directed, produced and performed in her own one woman show “Why Can’t I Marry the Cute Beatle" in 2008. She then performed with Portland Story Theater in Portland, Oregon and fell in love with story telling. Solo Speak was created out of that love and produces professional story telling shows and offers workshops for the novice performer. To get information about shows and workshops, click on the contact us at the left and join the mailing list. Solo Speak’s mission is to be a forum for the sharing of personal stories for grown-ups. The art of storytelling can bring groups together, can bring understanding to people from different backgrounds and beliefs, can share pain and joy and let us know we are not alone.